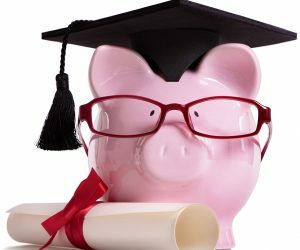 Write for The Voice and win money for your education! 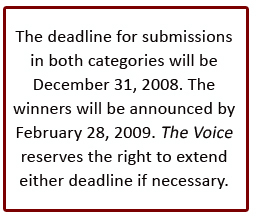 The Voice is launching its 2008 writing contest, with categories for both fiction and non-fiction. 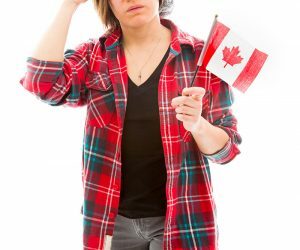 We’ve got over $1,000 in prizes to give away: one winner in each category will receive a scholarship of one Athabasca University undergraduate course. Please read the contest rules and regulations and submission guidelines carefully to ensure you are not disqualified. It’s free to enter, but the length limits are firm and all entries that go beyond these limits will be disqualified. Good luck! In 1,500 words or less, write about any issue affecting freedom of speech. You may write about issues in the press, in politics, or on a personal scale. You may focus on current issues of free speech, or take a historical approach. Feel free to use research or statistics in your article (with proper citations), or write a creative opinion piece. 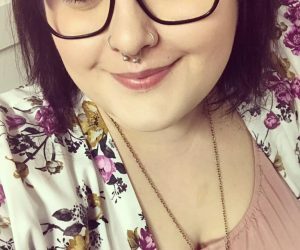 This category is open to your imagination! Write a 1,500 word or less fiction submission in any genre or format. Short stories, poetry, a scene from a play, even a comic. Be creative! The Voice writing contest is open to anyone 16 years of age or older, with the following exceptions: AU, AUSU, and Voice staff and AUSU councillors are not eligible to enter the contest. Winning entries will be published in The Voice. The Voice reserves the right to print non-winning entries at a rate of remuneration in accordance with current Voice freelance submission rates. The Voice may use portions of non-winning non-fiction entries in a composite about perspectives on free speech. No remuneration will be provided for such use. Entries will be judged by a panel to be selected by the Voice editors, and this panel may include: AU students, AU tutors, and/or AUSU councillors. The panel will include at least 3 members. The Voice editors will collect articles and oversee the judging, but will not be judges. Entries must be original works that have not been printed or published elsewhere (including online), and must not be course assignment papers or derivatives of. Entries must not contain any information that would make the identity of the author evident to judges. To ensure fairness, all entries will be forwarded to the judging panel with a reference number attached, but no personally identifying information. The Voice editors will keep the identity of the authors private until the contest closes. The Voice editors will keep a record of the authors of submissions, and will be the sole owner of this list. Entries will not be edited for grammar, spelling, or content, although The Voice editors may black out any personally identifying information contained within the submission. Otherwise, entries will be forwarded to the judging panel as is, with the exception that all entries will be converted to use the same file format, margins, font size, and font style to ensure that all entries are equally readable. The deadline for submissions in both categories will be December 31, 2008. The winners will be announced by February 28, 2009. The Voice reserves the right to extend either deadline if necessary. One grand prize winner will be selected in both the fiction and non-fiction categories. If no entries are received in one of the categories, the prize money will be returned to the Voice scholarship budget. Prizes will be awarded in the form of a certificate for one free Athabasca University undergraduate course. Prize certificates have no cash value. The Voice is not responsible for lost emails. The Voice editors will confirm receipt of all entries by email. Please follow up if you do not receive a reply in two business days. All entrants agree to allow their name and city of residence to be printed, along with their submission, should it be selected as a winning entry. No further remuneration?beyond the contest prize?will be paid to the contest winner when their entry is printed. Winners will be asked to sign a standard Release and Indemnity form; each prize winner agrees to release the sponsor and its agents from any liability in connection with the prizes awarded in this contest. Any entrant found to be tampering with the contest results, or attempting to influence any of the judging members, or using any forums or other public communications media to advise others of which entry is theirs will be disqualified; or if The Voice editors determine, at their sole discretion, that any other form of tampering has been attempted, that entrant will be disqualified. Where applicable, this contest is subject to all federal, provincial, and municipal laws. Contest void where prohibited. Your submission must be an electronic file attached to an email and submitted to voice@ausu.org. Submissions sent as the body of an email will not be accepted. Contact voice@ausu.org if you require instructions on how to attach a file to an email. Submissions should be in Microsoft Word format [.doc or .docx], rich text format [.rtf] or plain text format [.txt]. If you use footnotes or endnotes, type them in at the end of the document, rather than using the endnote feature of your word processor. If you use a word processor other than Word or work on a Mac computer, you can save a file in one of these alternate formats using the ‘save as’ function and selecting the desired format on the save menu. Contact The Voice editors if you require assistance in formatting your submission. Users of older Macs may have to send entries in HTML format. Each entrant may submit one entry in each of the two categories. All entries must be under 1,500 words due to judging time constraints. Length will be determined by the word count feature in Microsoft Word. Your references and citations section will not be included in the word count. References should be formatted consistently according to a standardized publishing style guide, such as the American Psychological Association (APA) or the MLA press style. Entries should not include unnecessary formatting such as drop caps, graphics (unless the graphic is integral to the work), or unusual fonts. Entries must be text; scans of handwritten or typed documents will not be accepted. The email should include the following information: Your full name, AU student ID number (if applicable), email address, telephone number, mailing address, the title of your entry, and whether you are submitting to the fiction or non-fiction category. Make sure non-fiction entries are based on the topic question detailed above. Fiction entries can be on any topic you like. Do not include your contact information within your article but be sure to include a title. Non-Fiction entries will be judged on originality, creativity, accuracy, and how well your support your assertions with data or argument. You will also be judged on the presentation of your article, including professionalism, proper spelling, grammar and syntax, and readability. 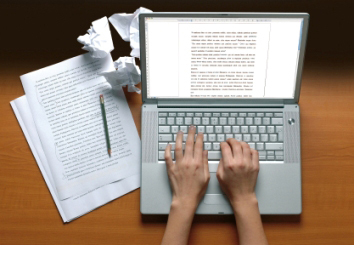 You may write in journalistic style or essay format. Fiction entries will be judged on creativity, entertainment value, and the originality of your writing style. Regardless of the genre you choose, you will be judged on the effectiveness of your piece and your technical writing skills. The 2008 Voice Magazine Writing Contest!